Synopsis – The deep-sea is one of the largest yet most poorly known ecosystems on Earth. The major part of the abyssal plains (2500-6000m) is covered by fine mud. The habitat conditions here are extreme: no light, high pressures, cold temperatures and with only a small quantity of food. While the overall biomass is small, surprisingly, the species-richness is high. Some parts of the ocean tend to concentrate life: margins of continents and slopes of the islands, seamounts, thermal vents and cold seeps, as well as numerous ecosystems based on organic substrates like skeletons or sunken wood. Most of these are situated in bathyal depths (200-2500m). In the context of these insights; a panorama of discoveries is presented. It represents an enlightened vision of life in the deep; that it is in fact, everywhere, light is not essential and chemosynthetic systems that start new food webs are widespread, and species diversity is very high in the bathyal zone. The era for deep sea exploration is far from over — there remains much to do. About the speaker – Dr Bertrand Richer de Forges is a remarkable marine biologist and has often spent his career in remote places sampling biodiversity, discovering new ecosystems and a cornucopia of new species. 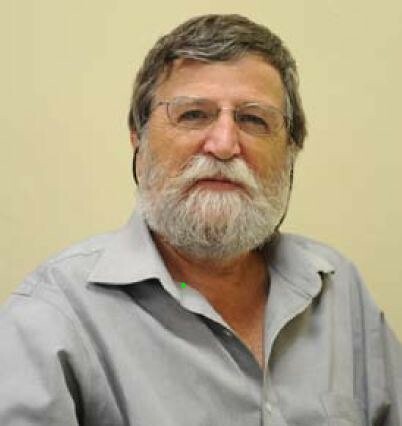 Since 1984, he has been with the French Institute of Research for Development in New Caledonia. This period corresponds with his substantial involvement in the French MUSORSTOM program to study deep-sea biodiversity. Using different research vessels, he developed new methods to explore the lagoons and deep-sea fauna in New Caledonia. During the same period, he worked in collaboration with Professor Danièle Guinot in Paris (one of the most influential carcinologists of the last 100 years) on deep-sea crabs that resulted in many key papers. The exploration of New Caledonia was so successful that it was necessary to sample Vanuatu, Fiji, Solomons, Marquesas, Philippines and Taiwan to understand the biogeography of the Pacific. In charge of research programs on marine biodiversity, he had collaborations with colleagues from New Zealand, Australia, Singapore and Taiwan, publishing many papers and books in the process. In a career that has spanned 30 years, he has described over 120 new genera and species, mostly from deep-sea. He has been on the steering committee of the Census of Marine Life on Seamounts, contributing to its success. Among his many discoveries are the discovery of a number of ‘living fossils’, including what has been called the Jurassic Shrimp, Laurentaeglyphea neocaledonia in 2006. The Wallace Lecture Series was a series of important lectures delivered in the 1960s by well-known biologists in the then University of Malaya. These lectures stimulated discussion and encouraged the exploration of new ideas in systematics, ecology and natural heritage. It seemed especially appropriate and timely that this lecture series, named after one of the two discoverers of the modern theory of evolution, should be “resurrected” to further research interest and activity in Singapore’s rich biodiversity. This is the second of the Wallace Lecture Series, delivered by an invited Research Scientist brought in by the Raffles Museum of Biodiversity Research of the National University of Singapore, in conjunction with the National Biodiversity Centre (National Parks Board); and supported by Shell Singapore. David Tan was a rabid birder before he came to NUS. In the LSM2251 Ecology and the Environment class, he was the hallelujah chorus, head nodding with enthusiasm about ecological perspectives. So it was really noticeable when he was missing in class, usually battling some last-minute assignment deadline. He found an outlet for his enthusiasm about birds with an undergraduate research project (UROPS) with Richard Corlett, during which he evaluated distance sampling as a tool for population estimates of bird species in our NUS Kent Ridge Campus. I was one of his examiners and conducted his oral exam at University Hall Spinelli’s over coffee. The session lasted several hours, as I explored the depths of his observations of our campus birds in addition to the question he had addressed. His report was a dry, colourless affair, satisfying page limits and academic objectives. But he had carried a load of equipment during his surveys, taking photos and identifying animals at point locations as well as estimating distance and had lots of useful information about individual species. Represented graphically, could become a resource for students and the public alike – especially with the Kent Ridge being part of the Southern Ridges. So he did just that before leaving for a year overseas and produced “The Birds of NUS” at nusavifauna.wordpress.com which includes a guide to identifying birds, artificial keys, a checklist and maps with point locations of observed species (may favourite bit). He roped in co-conspirator Zachary Kok, a Physics major who ‘authored more than 25% of the bird profiles’ on the webpage. This is a resource for LSM2251 and now LSM1103 Biodiversity students as well. It’ll come in handy with younger students who work on mapping project with me in future too. Pretty neat, huh? Help us pull Johora singaporensis back from the edge of extinction and off IUCN’s 100 most threatened animals list! This little crab, Johora singaporensis is a true citizen of Singapore, for it can only be found on our island nation and no where else on Earth. However, its future truly depends on what we do to protect it, for J. singaporensis has been named as one of the 100 most threatened species on Earth by The International Union for Conservation of Nature (IUCN) and the Zoological Society of London at the IUCN World Conservation Congress in South Korea. One of the few invertebrates in the list compiled by 8,000 scientists from the IUCN Species Survival Commission (IUCN SSC), J. singaporensis is only found in two places on our sunny island – Bukit Timah Nature Reserve and two other “hill” streams. Its total population size is unknown and one of the key factors in threatening the species’ survival is habitat degradation due to changes in water quality. While Bukit Timah Nature Reserve is protected, the other streams are not protected and the species is vulnerable to all kinds of disturbances, from the lowering of the water table to pesticide use, pollution, and urban development. RMBR, in collaboration with NParks, will be embarking on a two year project to study the status and conservation of our truly unique Singapore icon. Are you interested in helping us pull Johora singaporensis back from the edge of extinction? We are looking for a full-time research assistant for a project on the Singapore freshwater crab, Johora singaporensis. The duties involve intense field work surveying of freshwater streams in local forests to establish distribution, habitat preference and physiochemical properties and establishments and management of an ex situ breeding programme. The applicant must interested in field work in day and night in difficult conditions, be able to recruit, lead and manage assistants, and be able to do careful work in an aquaria. We are looking for someone who can be independent in setting up field surveys, be communicative about updates, pay close attention to detail, responsible about the care and handling of aquatic fauna, single-minded about research priorities, be willing to work in a team and interested in contributing to conservation. The applicant must have a background in the biological sciences, must enjoy working outdoors, be physically fit, look forward to wildlife encounters and night work, be very flexible about working hours, have good communication and interpersonal skills, and be fluent in English (writing, reading and speaking). Past experience with rearing animals in aquaria is useful, but not necessary. Possession of a class 3 driver’s license would be beneficial but not critical. Interested applicants please send your CV and Cover Letter to Ms Tan Kai-xin at dbstkx@nus.edu.sg by 30 Sep 2012. Thanks to Joelle Lai for this blog post!